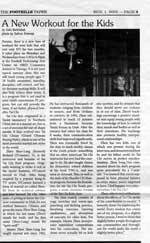 Buddha Kung Fu was founded by Buddha Zhen Shen-Lang in January 1, 2008 with the publication of the book, Buddha Kung Fu Student Manual. 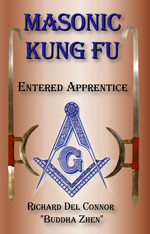 This book contains all the exercises and requirements for the 10 belt rank levels of Buddha Kung Fu. You start with a white sash. Obtain your Chinese Kung Fu uniform, any color, and join us in tennis shoes, never bare foot. 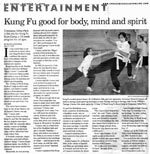 Buddha Kung Fu is taught in 4-month semesters, so it is possible to get three belt rank advancements each year. No sparring allowed in Buddha Kung Fu. 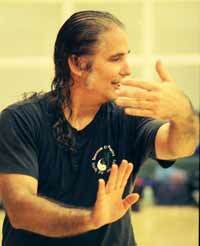 We teach every dirty trick invented by the Shaolin Monks and never teach our students sparring rules. We do Push Hands Competitions and choreographed Kung Fu routines... but never free sparring in class or tournaments. 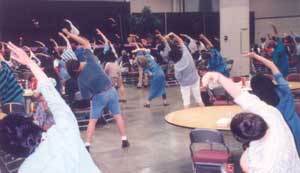 This enables girls to excel in our classes and boys to avoid bone breaks. 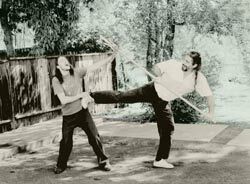 Kung Fu is a way of life--and hurting people and being hurt is not the Kung Fu path... despite what you see in the movies. Get a copy and have your Shifu (the author) sign it. 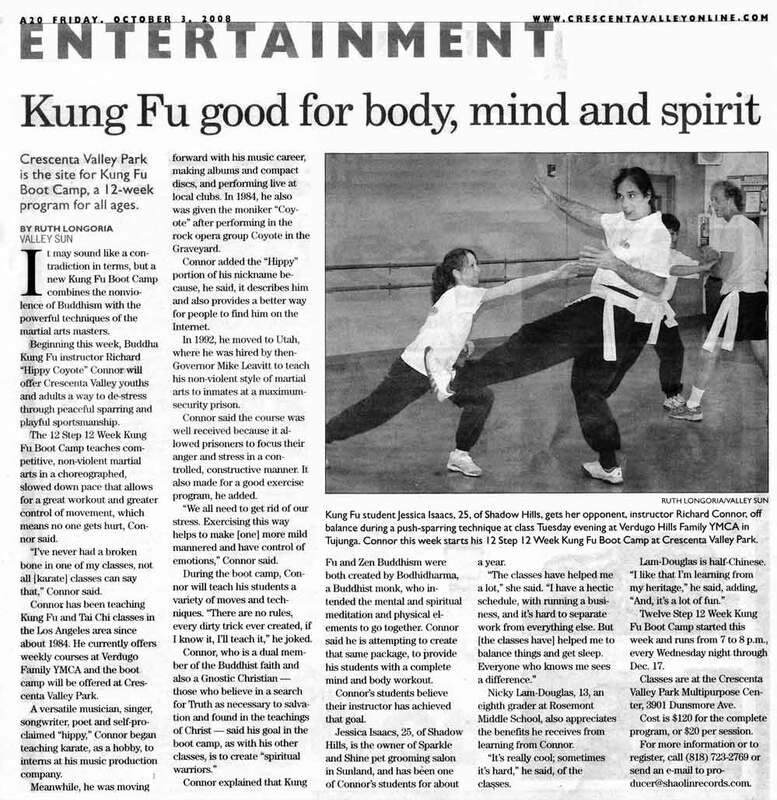 Interviewed during Shaolin Kung Fu class at the YMCA by Reporter Ruth, Buddha Zhen is revealed to be a hippie. Photo is Disciple Jessica uprooting Buddha Zhen during Push Hands. 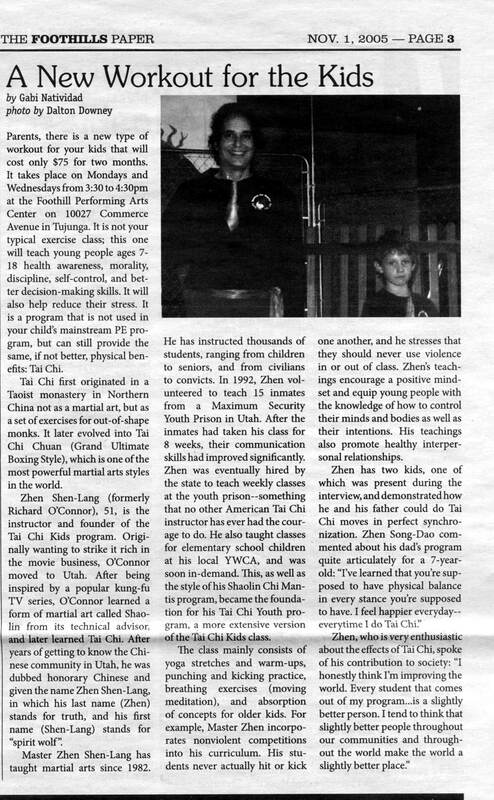 Renting a dance studio twice weekly, Buddha Zhen launches the TAI CHI KIDS program of Shaolin Chi Mantis and Tai Chi Youth. Photo is Buddha Zhen and son, Song-Dao. First, Buddha Zhen performed the ROCK HORSE Kung Fu Form with his son, Zhen Song-Dao. Changing into his white Kung Fu robe, Buddha Zhen performed solo flute for a standing ovation. 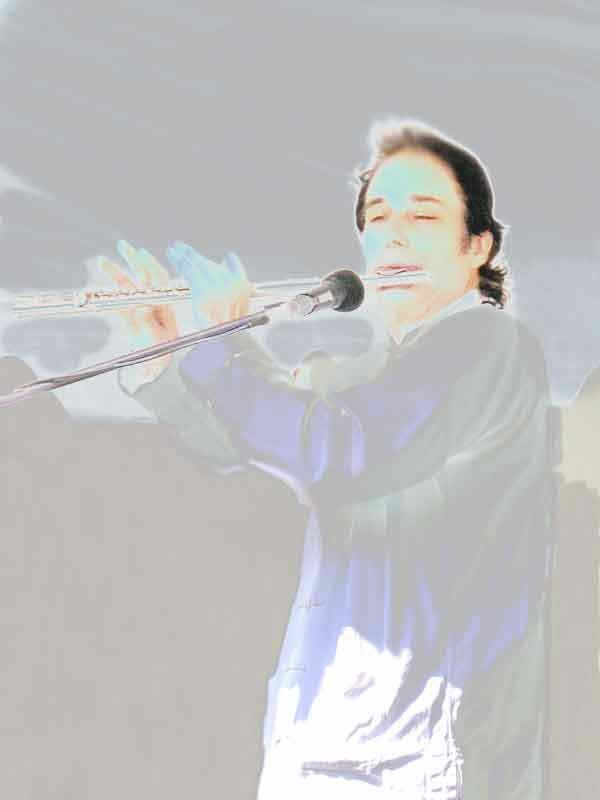 Photo is Buddha Zhen performing solo flute at the Commerce Street Faire, Tujunga, California. With a dozen students performing onstage, Buddha Zhen provided the Asian festival with traditional Chinese Kung Fu and Tai Chi. Photo is Buddha Zhen leading the entire stadium of people, including the vendors in their booths, through the ancient qigong breathing exercise known as "8 Brocade" or "Silkweaver's 8 Brocade."